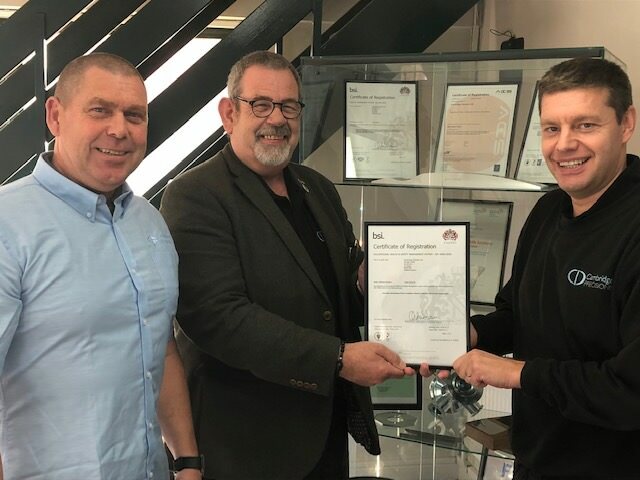 Cambridge Precision Limited always looks to be one step ahead of the game and it is no surprise that it is one of the first companies in the UK to successfully migrate to the new ISO 45001 standard, which champions health and wellbeing in the work place. “Precision engineering is a fast-moving, technical environment and our customers are some of the world’s most successful innovators. Our team face new challenges every day and we all have to be able to respond quickly, intelligently and safely. We can’t afford to have anything but the very best working environment. We have 70 highly skilled staff, working with initiative and high levels of individual responsibility and we are recruiting for a number of new positions. Productivity, high performance and creativity can only be expected from a workforce that share a commitment to excellence.” explains Andrew Wierny, Quality Manager at CPL. Recognition of achievement of an influential, international benchmark reflecting high levels of social responsibility. Cambridge Precision Ltd manufactures highest quality precision machined components and undertakes specialist electro-mechanical assembly projects for leaders in the technical, medical and energy sectors. The business is recognised and respected world-wide for outstanding skill, quality, reliability and innovation. ISO 45001 is a management system with a proactive approach to risk control and a clear focus on performance indicators and improvement. With 45001, the safety culture of the organisation demands active engagement of management with the workforce. Instead of providing “oversight” of the program, management are required to be true safety leaders. The protection of workers, as well as performance improvements, are roles of leadership under the new ISO 45001.